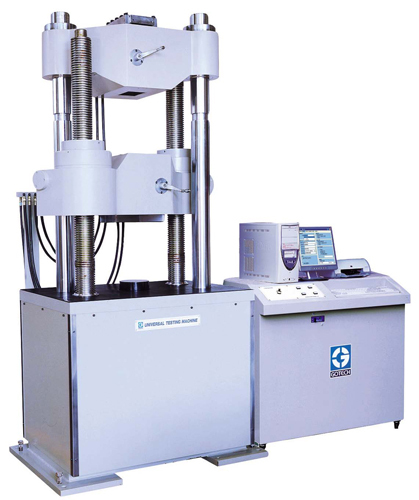 For testing of strength in tension, compression, bending, shearing, rapture and etc. 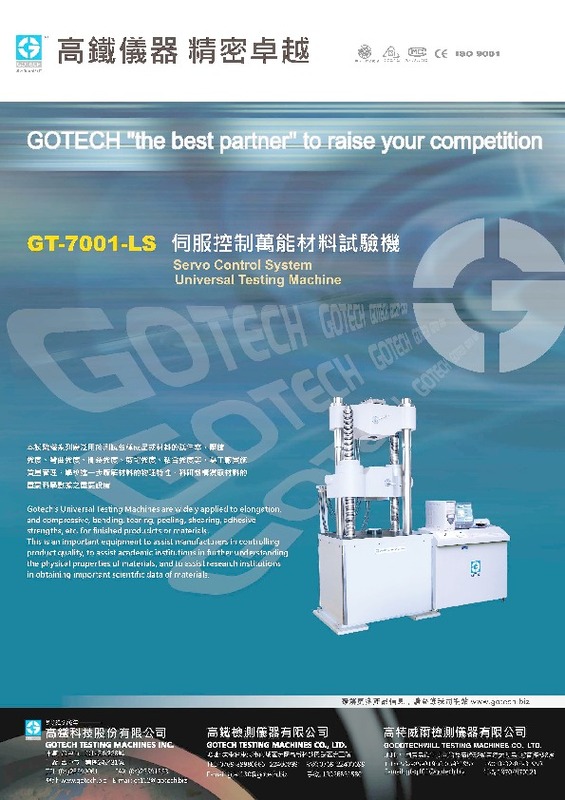 It can be used for various raw materials, semi-finished and finished products which are essential to manufacturers performing quality control and academic organizations for studying the physical properties of raw materials. 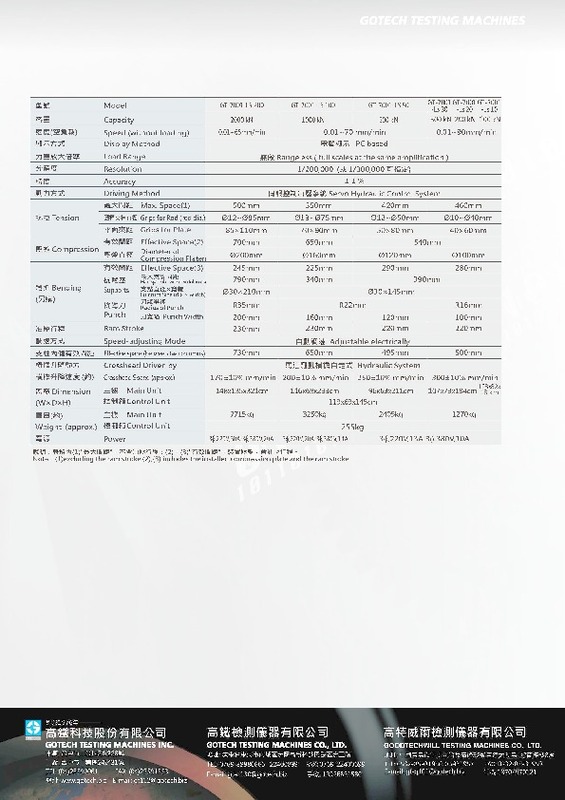 Note：(1)excluding the ram stroke;(2),(3) includes the installed compression plate and the ram stroke. ＊Specification and content are subjected to change without notice.